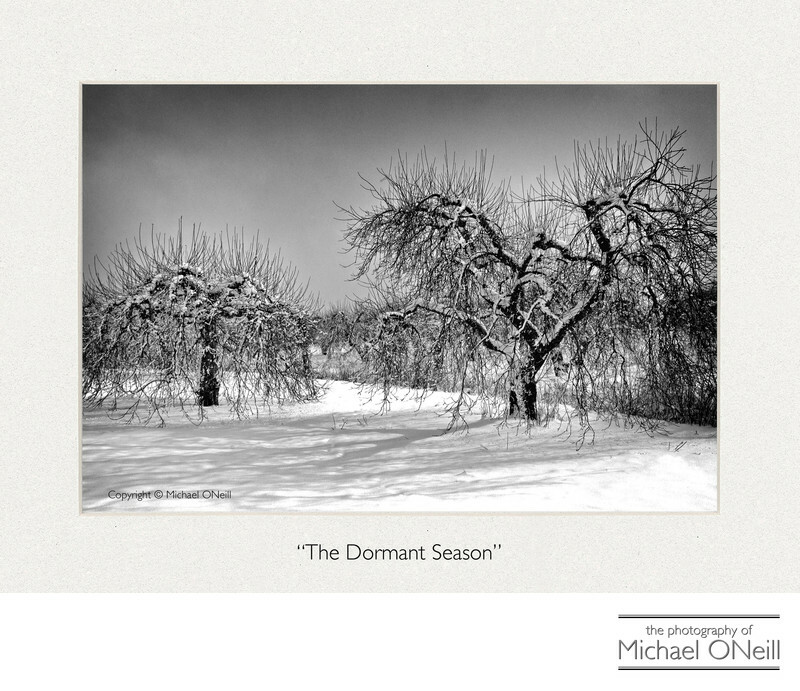 "The Dormant Season"...an image I created in the town of Ontario, NY at an apple orchard located along the shore of the great Lake Ontario. Over 40 inches of lake effects snow had fallen in the day and a half before I took this picture. I went out for a little joy ride and spotted this scene. I pulled my full-sized pickup truck over to the side of the road and stepped out with my trusty Nikon in hand. One step beyond my truck I sank nearly up to my waist in the fresh snow. To this day I can only imagine what would have happened had I guided my truck another foot further off the shoulder of the road. I’d probably still be there. It is hard to believe that this stark, desolate orchard would come to life in the spring and yield a bounty of fine fruit by the end of the season. From the vineyards of Long Island to this orchard on the shore of Ontario I never cease to be amazed by the resiliency of nature.